It’s official, cannabis is now legal in Canada. 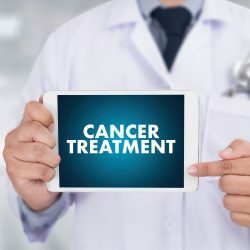 So while it has been available by prescription for a while, it’s now readily available without a prescription – and more people may start using it in conjunction with, or as a replacement for, cancer treatment. We want cancer patients and their loved ones to know the facts before making any life-altering or potentially harmful decisions. Read on to explore if cannabis might be helpful or harmful for your cancer care. 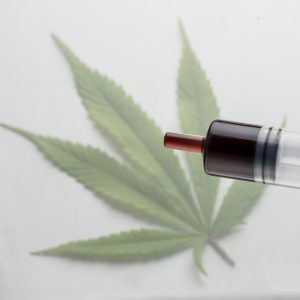 There are several pervasive conspiracy theories claiming that cannabis (or something else simple and natural) can cure cancer – and that the giant pharmaceutical companies have been hiding this fact for years. However, this theory has a few key flaws. The first is that if the giant pharmaceutical companies had already found a cure, it would be hugely profitable for them (given that about half of us will get cancer at some point in our lives) and therefore it’d be in their best capitalistic interest not to suppress it. Moreover, the number of people that would need to be complicit in keeping a secret of this magnitude would be staggering; during the many decades that this secret has supposedly been kept, no doubt at least one of those people would have come forward with the truth, either to be a hero or to make money with the story. The reality is simple: there is NO conspiracy hiding a cure for cancer, cannabis or otherwise. From a science-based perspective, there have been many clinical studies on the subject over the years – and there is still no evidence that cancer can be cured by cannabis. “There have been some studies which imply that cannabis can be effective against cancer – but only in a petri dish. This is very misleading, as even saliva can kill cancer in a petri dish – and we all know saliva can’t kill cancer in a person” explains Alex Rolland, oncogenomics expert and CTOAM’s Director of Scientific Research. 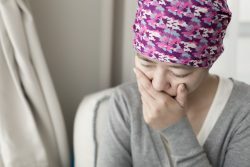 For years, cannabis has been prescribed to help alleviate the nasty side effects of chemotherapy and radiation: it’s been shown to help reduce nausea, increase appetite, decrease stress, and improve sleep. Burning any plant – no matter how natural – releases carcinogens. Cannabis cigarettes rarely have a filter, and are less tightly packed, allowing for more smoke to get into the lungs compared to tobacco cigarettes. Further, because people typically hold cannabis smoke in their lungs for much longer (than with tobacco cigarettes), the amount of tar deposited in the lungs when smoking a cannabis cigarette (rolled with cannabis only) is approximately four times! Despite this, studies currently show only a weak link between smoking cannabis and developing lung cancer – but when considering whether to smoke cannabis or not, the potential risks of lung cancer should be taken into account. Chemotherapy and radiation remain the standard of cancer treatment within the Canadian public healthcare system. However, as precision oncology and targeted treatments continue to grow in popularity and use, cannabis can have additional impacts. People tend to think that anything natural, like cannabis, has no interaction with pharmaceutical medicines. This isn’t true. Cannabis can interact with cancer treatments, and that interaction can be beneficial or harmful, depending on the variables involved. If you’re considering (or are already using) cannabis as part of your cancer care, it’s important to speak with your cancer care team about its potential interaction with your other treatment(s). So there you have it. The current truths are that smoking cannabis can not cure cancer; it can help with the unpleasant side effects of cancer treatments; it has the potential to increase your risk of lung cancer (though the jury’s still out on this one); and it can potentially benefit or harm different types of cancer treatments – so it’s critical that you openly discuss your cannabis use with your care team. As time goes on and the depth of research on this subject grows, hopefully we’ll continue to uncover the full potential that cannabis holds for cancer care. If you’d like to know more about Precision Oncology and targeted treatments, or want to speak with an expert about how cannabis might impact your current cancer treatment, reach out to us. You can also schedule your Free Phone Consultation with our cancer experts today. When it comes to cancer, knowledge is power and time is of the essence. You have nothing to lose, and everything to gain, by speaking with our experts and getting the full picture of your best evidence-based cancer treatment options.